I saw this at the Player's this week... give it a try! Tees in at the end of the slot reduces the size of the opening and demands the ball to start on the perfect line. 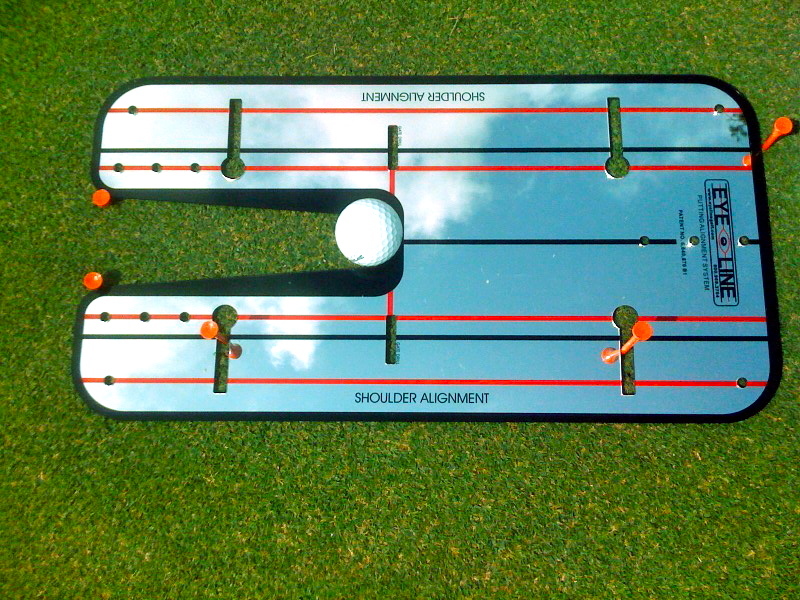 Outside the mirror prevents the putter coming outside the line. In the slot prevents bringing the putter inside too quickly. In the front slot, prevents bringing the putter inside the line too far on the follow through. The lesson? Make the mirror work for you, the way you want it to help.